Leading up to Halloween I'm going to be posting things that are a little creepier than usual. 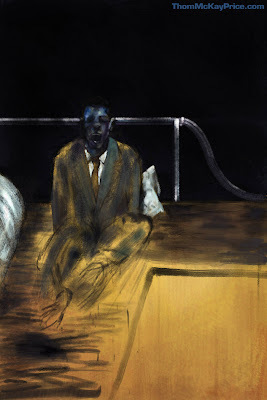 This is a reproduction of a Francis Bacon painting I did in photoshop. Mr. Bacon was a very gifted painter who's work always creeps the HELL out of me.